Deep vein thrombosis is a severe medical condition that’s preventable and treatable when detected in the early stages. That’s why it’s critical to understand your risk level and seek diagnostic care from Minneapolis Vein Center. The practice is located in Plymouth, Minnesota, serving the greater Minneapolis, St. Paul, and western Wisconsin area. The facility’s team offers thorough diagnostics to screen for this and other venous conditions. Schedule an appointment to learn more and determine if you require intervention for deep vein thrombosis; an online booking tool is available, or you can contact the office by phone. Deep vein thrombosis occurs when a blood clot develops in a vein located deep within your body. The condition is usually found in the pelvis, thigh, or lower leg, but can also occur in the arm. If a portion of a blood clot breaks away and moves through your bloodstream, it can lead to a blockage called a pulmonary embolism. A smaller clot can cause problems like lung damage, and larger clots can be fatal, for example, if they stop the blood flow to your lungs. Your Vein Center provider works with you to find the best possible treatment path for your needs. Most cases are resolved with pharmacomechanical thrombolysis. This process uses prescription medications to dissolve blood clots by creating a proteolytic enzyme called plasmin. Plasmin breaks down the molecules that hold a blood clot together, effectively reducing it to small portions that don’t pose a risk to your circulatory system. Three primary classes of drugs effective in thrombolysis. They all work differently, and some may be better suited to your needs than others. 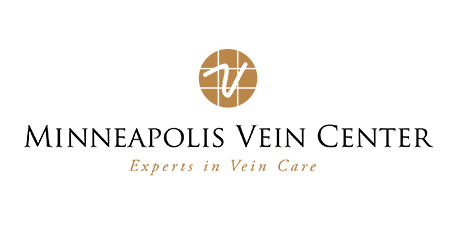 The doctors of Minneapolis Vein Center have extensive experience in pharmacomechanical thrombosis and will strive to find the right treatment path for you. After treatment, you may need to take warfarin, heparin, or other drugs to prevent additional clots from forming. Your Vein Center provider may also advise you to wear compression stockings for a period after treatment. It’s never a bad time to come in for a diagnostic appointment to assess your risk of deep vein thrombosis, so make your health a priority and schedule an appointment today.